Tool provides better information for oncologists while saving radiologists time. Close may be good enough for horseshoes, but characterizing cancerous lesions requires better accuracy. However, measuring lesions is a difficult and time-consuming process, so measurements are performed only in clinical trials. Unfortunately, only about 5% of cancer patients participate in clinical trials. Although radiologists’ resistance to measuring lesions is understandable, given the time and effort required, the qualitative information that oncologists are often forced to rely on can make it difficult to determine whether treatment is working. In some cases, oncologists will do the measurements themselves. Mostly, however, they will rely on the radiologist’s interpretation. Because cancer treatment often requires a new scan to measure the progress of treatment every six weeks and those scans are often read by different radiologists with different styles of interpretation, the oncologist may have to weed through several interpretations, each that may be done differently. Without quantitative data, there’s often guesswork—and a lot of time—involved. To address these issues, Rubin is conducting a research effort that aims to make quantitative imaging information more accessible to clinicians. Rubin has developed a tool for tracking and measuring lesions that can be launched from a Web browser. Originally developed on a Mac platform, he adapted the tool to allow it to be deployed in multiple reading room settings and even on commercial imaging workstations. The tool, the electronic Physician Annotation Device (ePAD), opens an exam and presents a tabular summary of what was recorded during prior exams. The system evaluates lesions using the Response Evaluation Criteria in Solid Tumors (RECIST) guidelines, along with alternative indicators of cancer treatment response, such as the specific abnormalities, their measurements, and how they were measured. Clicking on any measurement displays the associated image and its annotations. New measurements are automatically added to a summary table, and a mini quantitative report is generated. A description of this functionality was published in the September-October 2012 edition of Radiographics. Although some vendors have been working on proprietary lesion tracking tools, doing it in a standards-based way is new. ePAD uses the Annotation and Image Markup (AIM) standard, which was developed by the National Cancer Institute to store human and machine image annotations in a format that is syntactically and semantically interoperable. Since a patient who receives multiple scans may have them on different vendor systems, a standards-based approach makes it easier to search and compare the patient’s record to compile the automated summaries of lesion measurements and disease response. Initial assessments of the tool have been promising. At RSNA 2012, Rubin presented results of a study that found the ePAD tool to be significantly faster than hand measurements. The study was undertaken with the Mac version of the tool to test it in a real-world environment, and it found an increase in reader efficiency of 23% with a savings of 2.9 minutes per case. 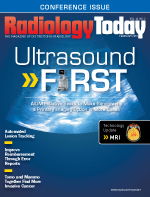 Whether that’s fast enough to induce widespread adoption remains to be seen, but Rubin says it represents a significant improvement when every minute counts in the clinical radiology workflow. And because the tool incorporates the AIM standard, it was found to be effective even when prior imaging studies were not interpreted using the ePAD system. Rubin’s next research goal is to collaborate with a few medical centers to get feedback about the current implementation of ePAD. This will allow him to better understand the user experience, and refine the tool and its interface to make it more compatible with existing workflows, perhaps saving radiologists even more time. It also will give him the opportunity to formally evaluate the ePAD in actual clinical practice. Rubin’s ultimate goal is to make it practical to perform quantitation in all cancer patients—not just patients in clinical trials, who are currently the only ones who benefit from it. Although quantitation isn’t necessary for every patient, certain types of cases, such as oncology and cardiovascular cases, where a change in the size of a lesion or an aneurysm is extremely important information, could be handled much more effectively if efficient quantitation tools can make it easier for radiologists to provide critical quantitative information. Rubin thinks that day isn’t too far off. — David Yeager is a freelance writer and editor based in Royersford, Pennsylvania. He writes primarily about information technology in imaging for Radiology Today.